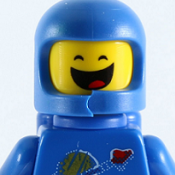 So this year, my sister told me I was to make her a gingerbread town, ice rink, and train (among other unrelated things she wanted after browsing Lego Reddit, and all its random wonders). After negotiating, I talked her down to just the train--fortunately! While I do own two trains, this is the first time I've ever built my own. It was an experience. 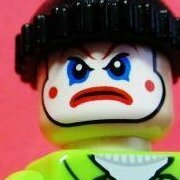 I don't intend to make any more anytime soon however, because I'm not about the life of spending four dollars per wheel. Nonetheless, I'm very happy with how it turned out! 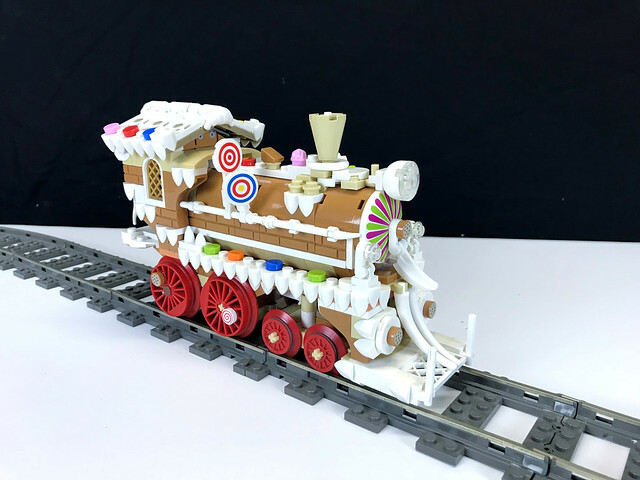 Gingerbread creations seem to be all the rage this year, but a gingerbread train was something different. I choose to forgo any real lattice work, which is common for the style, and instead utilize a couple fist fulls of tooth plates I picked up years ago from a PAB wall. The frosting technique, while rudimentary, really started to give the train a cool gooey look, so as I built the rest of the four cars I just went all in! This was both the easiest and most difficult car to build, and its still not right. Getting the wheels to work correctly was a challenge (again, having never designed my own train, all the necessary dimensions/techniques were just unknown to me), but the goop just really worked here! I particularly like the strands of frosting that pour at the back. For the coal car, I went with a big bright cup of hot chocolate. The train is built using the 9V system, so this cup was largely used to somewhat cover the motor box. I suppose it would have made more sense to incorporate the motor in to the engine (since the motor now just pushes the engine itself forward), but I chose to put it here to keep the engine aesthetically pleasing. Any who, the addition of a giant chocolate chip cookie, peppermint sticks, and a chocolate frog was just icing on the cake. Also icing, added that too. Here you can also see the peppermint sticks that are used to attach the cars to one another. 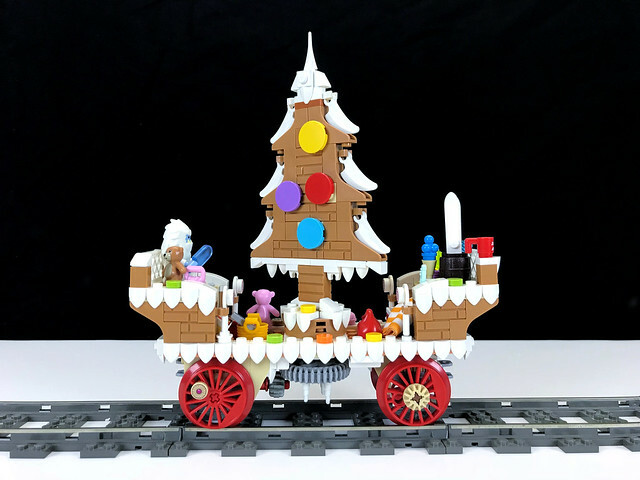 While I wasn't necessarily setting out to make a Christmas themed train, I wanted hints of that--specially in the form of a flatbed with presents. But once I had the flatbed, I just knew I needed to add a large flat gingerbread tree cookie! The giant tree cookie is geared into one of the wheels, so it spins when the train is moving. I of course threw in a bunch of presents in there too, from boxes of LEGO to cellphones and teddy-bears. For the caboose, I wanted a really cute, tiny car. I used the same poor-mans lattice work from the engine here, to tie the train together, but all in all this was a rather simple end car. This is perfect! I love it! 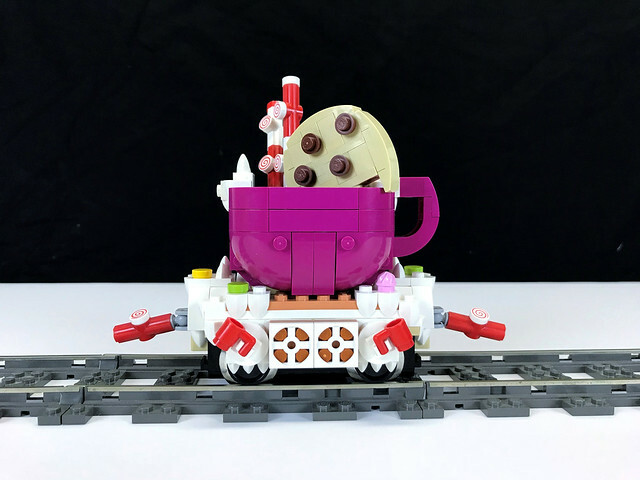 Hot cocoa car is amazing! I love it, too. It's an interesting take on ''gingerbread''. 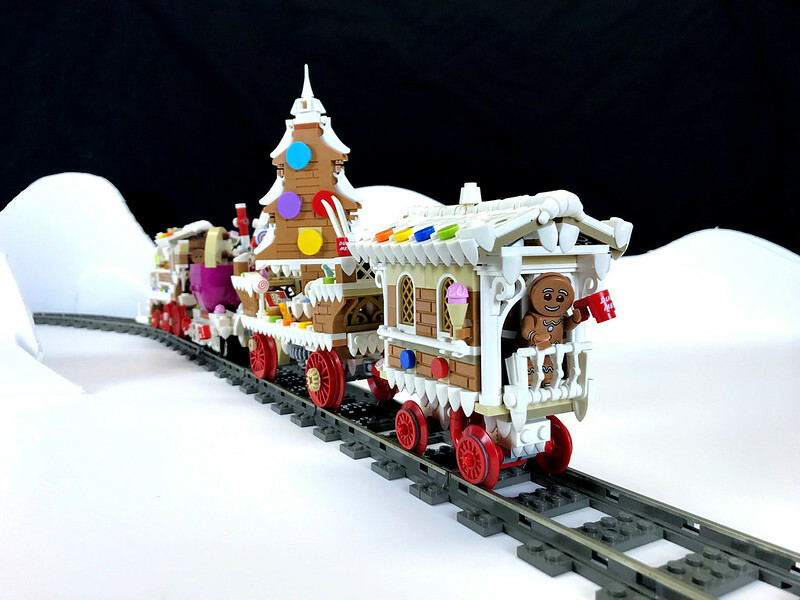 I don't mind the train having less realistic details, and more icing. It's the icing that created the ''gingerbread'' feeling, and you did that great. My favourite is the cocoa mug with chocolate chip cookie. 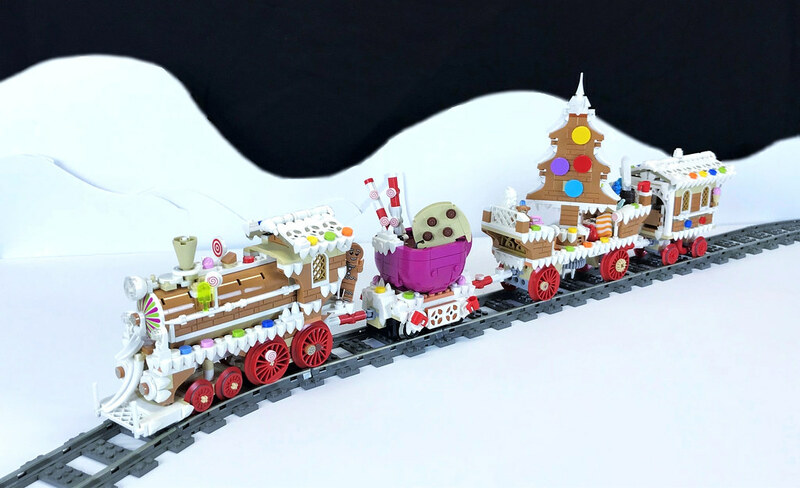 It is a perfect gingerbread train, right down to the peppermint connectors between the cars. It is gorgeous!! 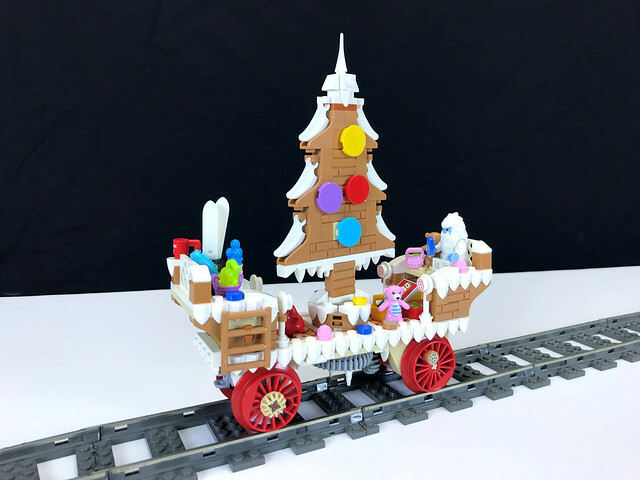 Love the caboose and the cargo car, especially how you did the gingerbread tree. It looks edible. Cocoa tender car is clever. Sweet and sugary satisfaction around a tree. 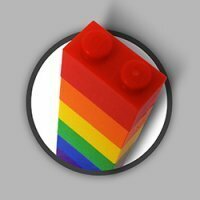 Those one I want to build aswell, if u want to share a lxf file, thanks! 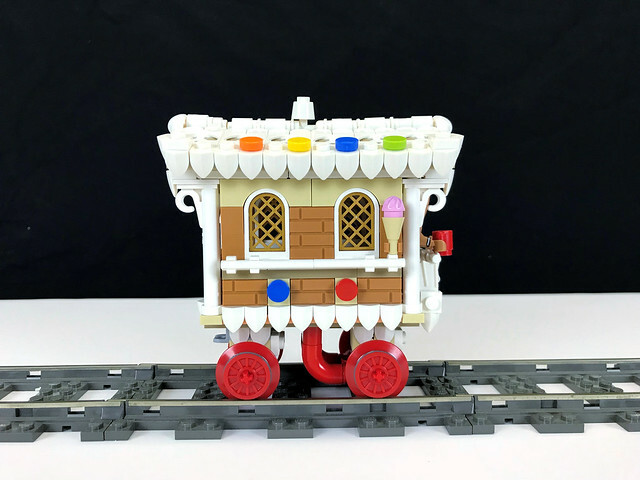 Nice coupling system and amazing use of colors ...a train to eat! There are not enough heart emojis in the entire internet to describe how I feel about this build! My favourite carriage has the be the cookie and hot chocolate one. 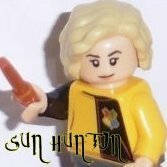 Great build and nice photo's. 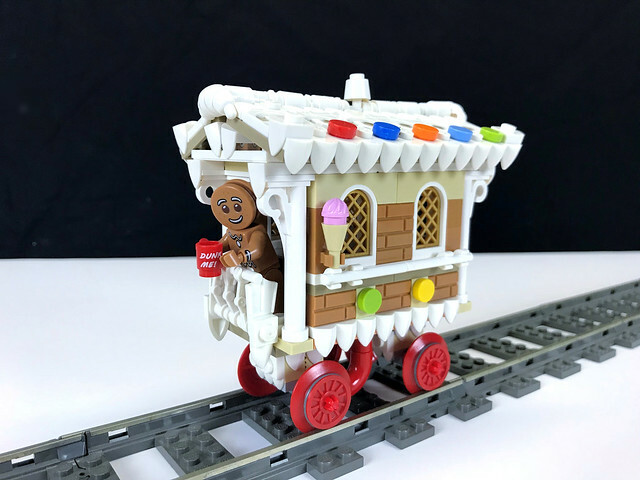 I really like the white, tan, MDF combination and the hot chocolate car is stunning. I love it! It looks better than the actual christmas train from a couple of years back. Would buy this in a heartbeat, and would love to buy instructions. This looks really good! Happy holidays to everyone! 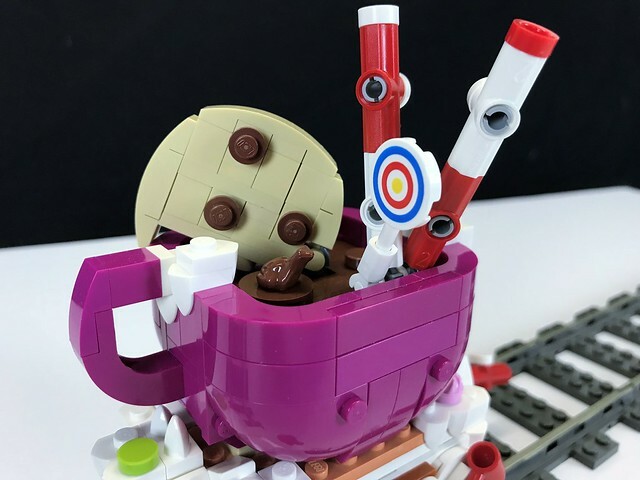 Haven't seen such a funny and well built MOC in a long time! 10/10! 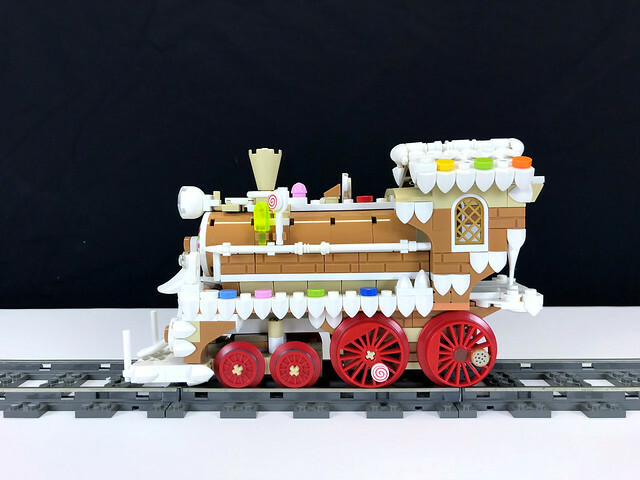 This is very convincing as a gingerbread train... You make me want to have my own now lol!